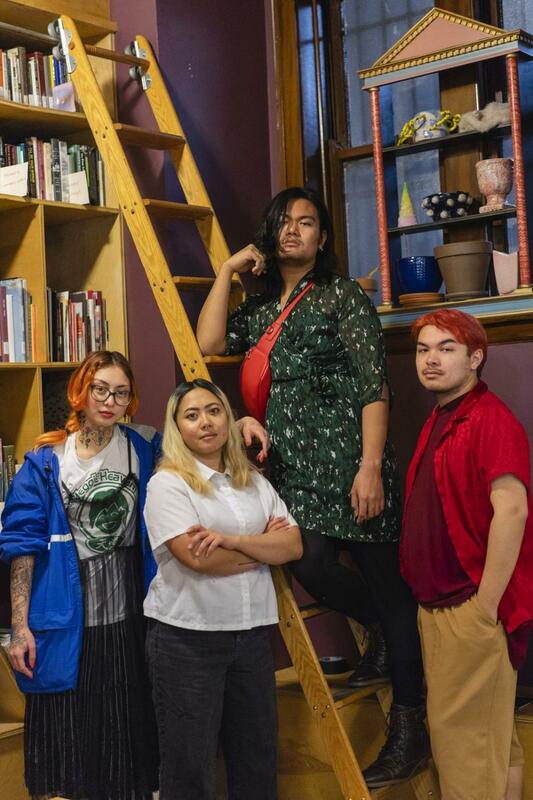 A group of 12 Filipinx-American artists who met at SAIC premiered their second video in a series called Nakikita: On Food and Authenticity on December 1 during a community dinner in Pilsen. Export Quality Collective is a group of mostly Filipinx art students based in Chicago, Los Angeles, New York, and Japan. Export Quality Collective member Cheryl Acuña (SAIC 2013–17) told Free Spirit Media that the video did a good job explaining how food is integrated into other societies and communities and how it changes as it's spread through a diaspora and influenced by other cultures. Another member of Export Quality Collective Paris Jomadiao (MFA 2018) says she cooks to stay connected to her culture. The video examined topics not often discussed in the Filipinx community and was immediately followed by a conversation about food and identity over traditional Filipino dishes like lumpiang shanghai, grilled pork, and pinakbet. Attendees were encouraged to eat with their hands, a Filipino tradition called “kamayan.” The collective hoped it would help encourage conversation and force intimacy. The third video in the series will explore multiracial identity and will likely debut at another community based event like this one. “I want people—from watching this video and like having these conversations—to like, want to engage with their culture through eating it, through cooking it, [through wanting] to learn more of that—the history of the food,” said Jerico Domingo (BFA 2017). The goal of the collective is continue to to create platforms to engage with communities while advocating for more Filipinx visibility in the art world.